After a trip to Pittsburgh this past weekend, the women of Chicago’s cross country team can call themselves UAA champions for the second year in a row. In a field that featured six nationally ranked teams, the women edged out eighth-ranked NYU by six points. The men, facing equally stiff competition, managed to capture a third-place finish. The UAA title came down to the fifth-place finishes for both the Maroons and the Violets. Second-year Karin Gorski took a 19th-place finish while NYU’s Kassi Chrysanthopoulos took 30th. The 11-place difference ended up as the deciding factor for the conference championship. “Prior to the race, I [wanted to] emphasize the importance of racing together in packs,” said fourth-year captain Elise Wummer. The pack running strategy that the Maroons have used all season paid off handsomely, as Gorski finished a mere five seconds behind second-year Maggie Cornelius. NYU, on the other hand, had a 45-second difference between its fourth- and fifth-place runners. Individually, the women had three runners place in the top 10. Second-year Cat Young continued her dominant season with a second-place finish (21:46.8). Fourth-year captain Michaela Whitelaw kept the trend going with a solid sixth-place finish (22:17.3), and second-year Brianna Hickey managed to break in at 10th (22:36.3). On the men’s side, Wash U proved that it deserved its No. 2 national ranking, taking four of the top six finishes in the race. Only fourth-year captain Dan Povitsky (fourth) and NYU’s Dylan Carten (third) managed to break through the Bears’ line and prevent a sweep of spots one through four. Seventh-ranked NYU also had a strong race, finishing three of 10 runners in the top 10. The Maroons accomplished that goal with their pack mentality. Runners two through five finished a mere 20 seconds apart. Even though the strategy did not lead to a conference title, the experience will certainly help in the regional race a mere two weeks away. Both the men and women now look to the North Central Open this week. The race will serve mainly as a solid racing experience for some of the younger South Siders. Many Maroons may not race in an effort to rest up prior to the regional race. The North Central Open does not usually bring in a heavy amount of competition and will likely have less than 10 teams again this year. “[We want to] use conference as a springboard for regionals and nationals,” Wummer said. The championship season for the Maroons is far from over. 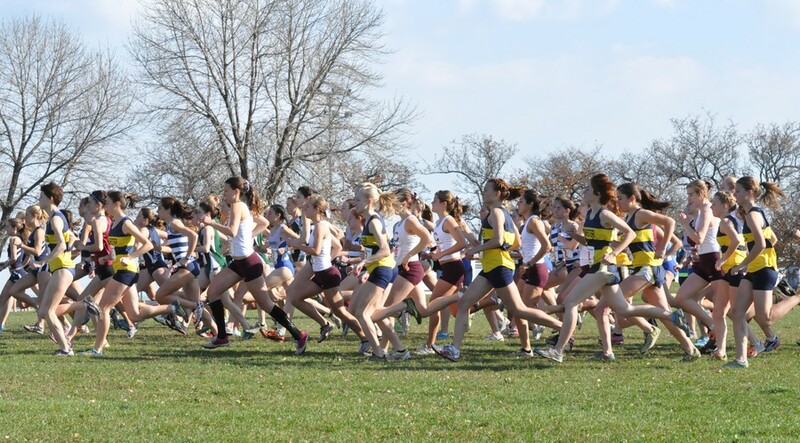 The men and women must now focus their efforts on the Midwest Regional Championship. In order to qualify for the NCAA National Championship, Chicago must finish fifth or better at the regional race. The women will likely not have trouble as they have defeated almost every team in their region and currently rank first in the Midwest. The men hold the sixth spot in the region despite ranking 14th in the country. Due to the NCAA selection policy, the men still find themselves on the bubble for a national berth. While the race for a conference title may be over, the Maroons will still find themselves under immense pressure to succeed.